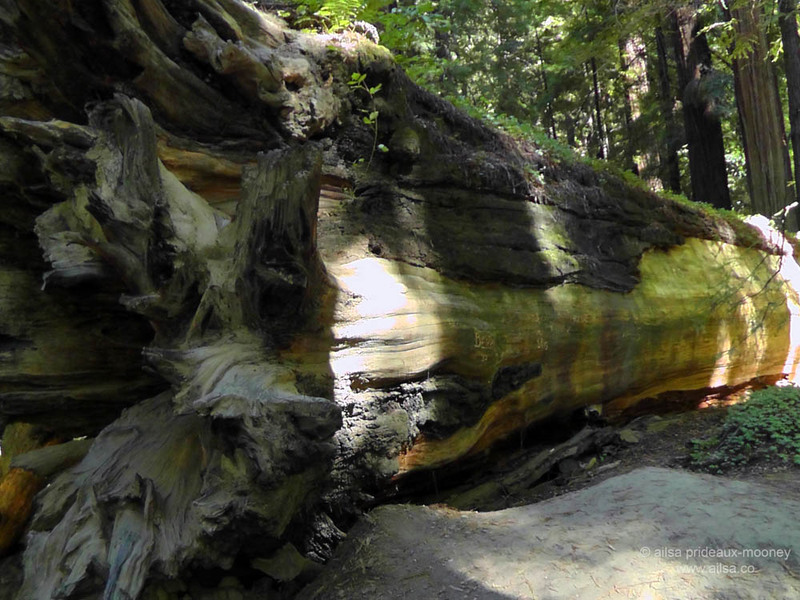 US road trip day 20.2 – Redwoods and D-listed on the Oregon Coast | Where's my backpack? Leaving the Lost Coast behind, it took the best part of an hour for our little pickup to struggle up the hill and back onto Highway 101. Three miles later we left 101 again, turning off onto the Avenue of the Giants and soon Jill’s disappointment at the Lost Coast was a distant memory as we plunged into the depths of Humboldt Redwoods State Park. Impossibly lofty, ancient redwoods watched over us as we drove along the avenue that weaves northward along the south fork of the Eel River and before long, we stopped to get out and explore the forest, touching the bark of these noble giants and craning our necks to gaze up at their dizzying heights. Somewhere along the way we found a visitor centre and stopped to regroup. While I was wandering around I found a placard bearing some familiar quotes. 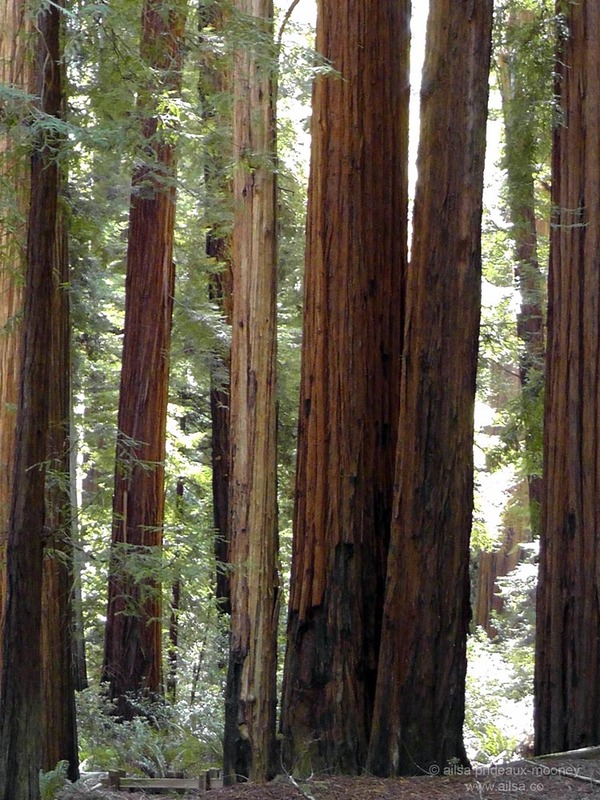 “The redwoods, once seen, leave a mark or create a vision that stays with you always. From them comes silence and awe.” This was one of my favourite chapters in Steinbeck’s ‘Travels with Charley‘. Poor John was so excited for his poodle Charley to experience the greatness of these redwoods and so outraged when Charley completely failed to appreciate them. I laughed out loud when he resorted to chopping off a willow branch and sticking it in the ground by a redwood just to get Charley to pee on it. That was the first of many stops along the avenue. 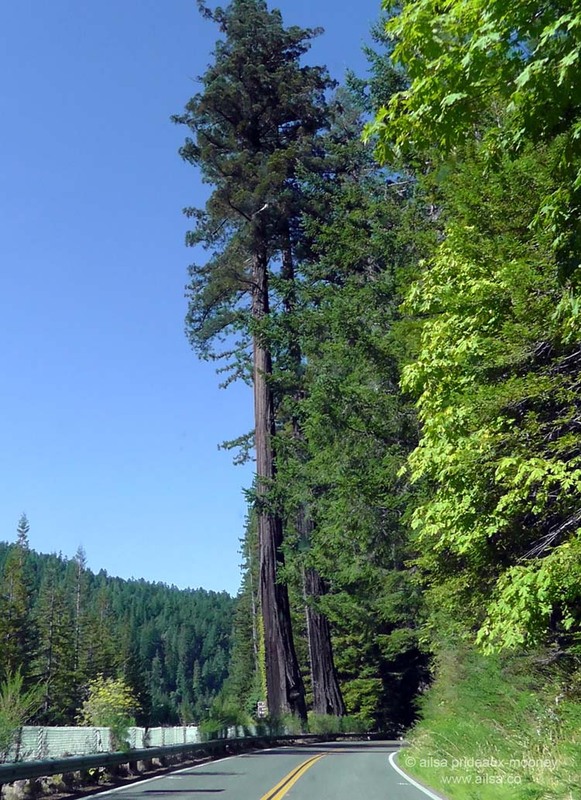 Over and over we pulled our little pickup into the side of the road, to stand inside giant hollowed out trunks or gape in wonder at toppled giants. We picked up Highway 101 again just south of Fortuna, but that wasn’t the last of the redwoods. This entire stretch of road is named the Redwood Highway and now we drove north past a myriad of state parks, clipping the top corner of Redwood National Park and drawing ever closer to the coast. Our plan was to make it to Oregon and find a camp site for the night. California had proven to be rather expensive; our camp site in Richardson Grove had cost substantially more than the hotel we’d stayed at in Las Vegas. The sun was hidden by the forest as we drove through Del Norte Coast Redwoods State Park but we could tell it was beginning to set because the trees glowed orange in the dying rays. Then we burst out of tree cover and finally found the coast. Jill was beside herself with joy. This was what she had been waiting for, for days now. Leggy, windswept trees took over from the majestic redwoods and the shoreline was clearly visible behind them. Giant rocks loomed out in the ocean and miles of pristine beach spread out along the highway. We stopped at the first pullout we found and got out to bask for a while. 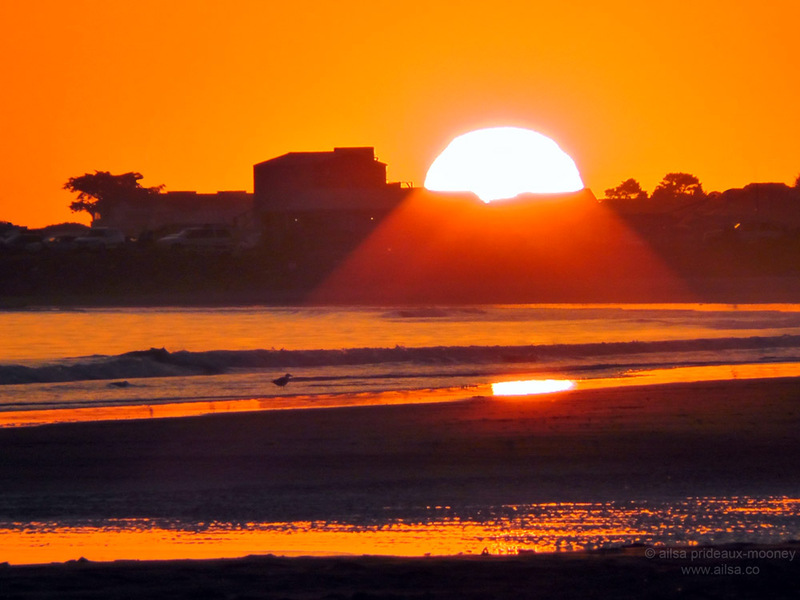 South of Crescent City we pulled over again, kicked off our shoes and walked along the sandy shoreline as the sinking sun turned the beach black and the water sizzled hot orange like glowing embers. Orange faded to purple, then blue, until all that was left was the faintest of greys and a marine mist began to swirl inland. I shivered, for the temperature had dropped rapidly, so we got back in the truck and made for the Oregon border. A little over half an hour later we crossed into Oregon and started looking for a camp site for the night. The first few sites we found were desolate places so we ventured further north and found a promising state park. We were met by a ranger at the entrance and Jill asked if there were any sites with a view. The ranger looked at our truck and said “Not for TENT campers. The only view sites are for RVs. Tent campers need to pitch in the D loop and there are no views there.” We thanked her and drove through. “Did we just get D-listed?” I asked Jill and she laughed, then launched into a diatribe about the plight of tent campers in an RV world as we circled the D loop in search of a site. There was only one site open facing a group who looked like they were set on partying for the night. We were both exhausted at this point, but Jill was pretty sure we wouldn’t get much sleep if we pitched here, so we drove back out, waving to the ranger as we left. If we hadn’t been so tired, we might have remembered that our fuel tank was nearly empty; we might have stopped to refuel in Brookings and things might have turned out differently. 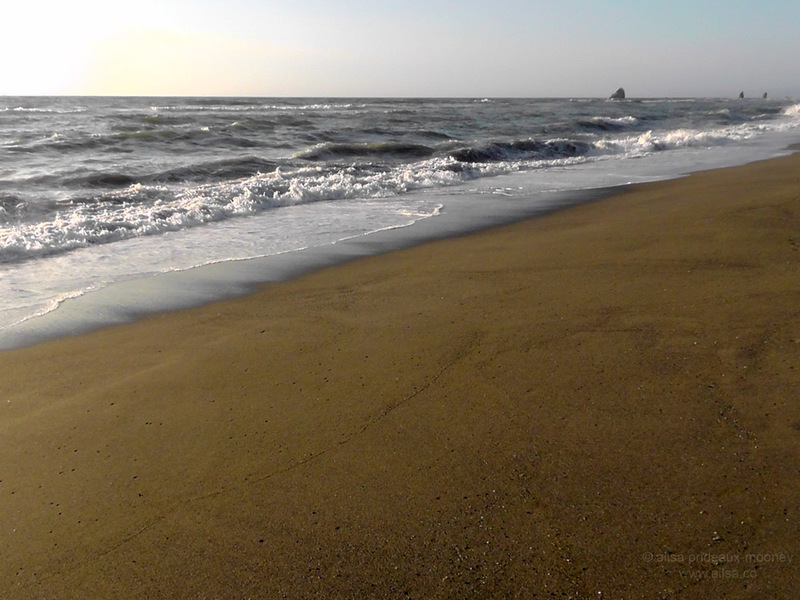 As it was, we whizzed through Brookings and got as far as Gold Beach where we realized that we were almost out of gas. Luckily, Gold Beach has a petrol station. Unluckily, it was closed, as was almost everything else in town except for a little deli. The chap in the deli told us the next gas station was 30 miles in either direction – either back to Brookings or north to Port Orford. Looking at the fuel gauge, we would have been really pushing it to get that far, so the deli guy suggested a lovely little camp site nearby where we could stay for the night and refuel in the morning. Jill was dubious; we’d had quite a few people point us to ‘lovely little camp sites‘ along the way, only for them to turn out to be rather disappointing, but we didn’t really have much choice at this point, so we headed down a narrow road leading to the site. We were greeted by a circle of RVs, their generators happily thumping away in the thick of the misty night. There was no one around so I hopped out of the truck and grabbed a map. There were two solitary tent sites on the map, but we couldn’t figure out where they were as we drove in circles around the solitary loop of RVs. There wasn’t a camp site host to ask, so we stopped the truck and got out to get our bearings. A man appeared from behind the facilities building and came over to us. When we asked him where the tent sites were, he showed us a spot next to the dump station and then pointed to the oval expanse of grass in the middle of the RV loop. I started to laugh out of sheer incredulity while Jill stared blankly. He was awfully sweet, so we thanked him and he went on his way. When he was gone, we turned to each other in dismay. There was no way we were going to camp next to a place where the RVs dumped their sewerage; the smell from ten feet away was vile and the “tent site” was right next to it. The only other option was the miserable patch of grass out in the middle of the park, with no shelter and no privacy whatsoever. Jill pulled the truck in onto the grass and we started setting up. It was quite possibly the most ridiculous thing I’ve ever experienced. Jill initially wanted to pitch the tent next to the truck because that would at least shield us on one side from the onerous RVs all around. The mist was getting thicker all the time and now a biting wind had kicked up and we were frozen to the core. There was a fire pit in the middle of the field so we changed our minds and pitched there instead, lighting a fire to fend off the bitter temperatures. A lone picnic table was situated all the way down the other end of the field, so we picked it up and carried it over to the fire pit so we could make dinner. Jill got the sleeping bags and mats set up while I fumbled around with provisions, trying to make something appetizing by the light of a headlamp, my fingers turning blue with the cold. I failed miserably; ending up with a pot of murky, mushy pesto pasta that glopped unappetizingly into our bowls. “At least we don’t have to worry about bears” I said, trying to find a silver lining as we shivered by the fire slurping the failed pasta. “There are coastal bears” Jill said, a touch too gleefully, “and they’re more likely to come looking for food here because RVers aren’t as careful with their trash.” In my distress, I tipped my bowl and spilled sauce all over the ground. Then I said a bad word. And another, while I was trying to clean it up. “That’s it” I gave up, exasperated. “We’re moving the tent back over to the truck” so we picked up the fully-pitched tent, sleeping bags and all, carried it all the way back across the field and dropped it by the pickup. It was harder than it sounds, because the wind had picked up and threatened to rip the tent out of our hands and whisk it out to sea. Chinks of light appeared behind shifting curtains as curious RV-dwellers stole furtive peeks at the strange intruders struggling with a fully-pitched tent that threatened to go airborne at any moment. Cold and miserable, we grabbed our toothbrushes and made for the bathrooms. On my way back, I noticed an upper level to the facilities building so went upstairs to explore. There was a fully fitted laundry room, lit with flickering fluorescent strips and blissfully warm. In amongst the washers and dryers was a table with two chairs. I shot downstairs to tell Jill of my discovery and after stowing our wash bags in the tent we retired to the laundry room to get warm. Jill grabbed a pile of celebrity gossip magazines and leafed through them while I fired up my laptop and started writing up some of our adventures. The longer we stayed tucked up in that forlorn little laundry room, the less we wanted to leave. The wind was howling outside as Jill filled me in on the latest Hollywood gossip and it got later and later. Suddenly she grew quiet. “This is ridiculous,” she said. “This stupid fluorescent light is going to keep us awake all night.” I looked around a moment later and she was face down in her magazine, sound asleep. I typed a few more sentences, hit save and then my eyelids gave up the battle to stay open. I put my head down by the keyboard. “I’ll just close my eyes for a second” I thought and passed out. 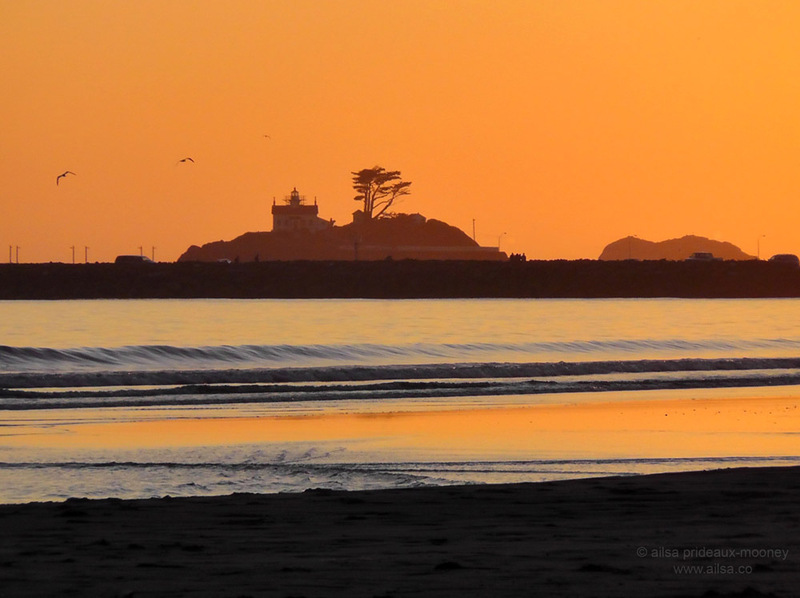 This entry was posted in California, Oregon, Photography, Travel, United States. Bookmark the permalink. My goodness, you do have some adventures. 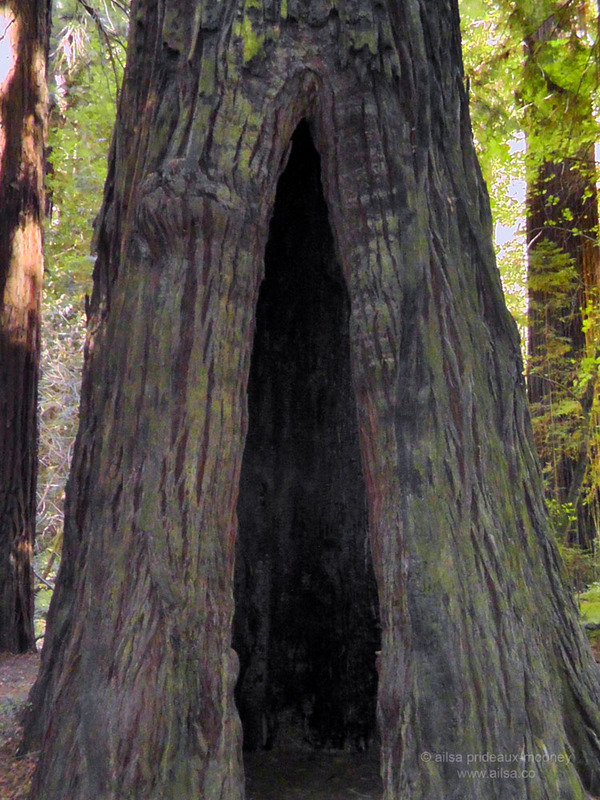 This brought back my memories of the redwoods and especially the one you could drive a car through. That was so long ago. I’ve been crazy busy lately and have probably missed some of your posts, which I must go back and catch up with when I have a few minutes. And about that campsite, I admire your fortitude. If it had been me, I would have taken my sleeping bags up to that warm room and settled in for the night. I considered it, believe me, Jennifer, but once we were inside in the warmth, the thought of venturing back out to get our sleeping bags was just too awful for words. Hey Ailsa, I was just wondering, where are you from? And what is the driving force in your travels :)? How long have you been back packing? Unfortunately, Lucas, I don’t have the $$ to travel for too long at a stretch, otherwise I’d travel continuously. One day, when I win the lottery, right? 🙂 This is an account of an epic road trip I took last summer. I am sending good vibes to help you win the lottery! What do you work as now? Maybe you can do that whilst traveling? Long ago in school we did a lottery equation: If a person buys a ticket once a day for 16 years they will still come out on top, it’s a whole risk and benefits deal. So I support you buying lottery tickets for 16 years, but if you don’t win after 16 years, you should probably stop hahah. I’ve had several friends’ families win the lottery so don’t give up! 16 years! Nice video! Good story and sorry you were sooo cold. Looks like a beautiful drive. I love road trips but am not so fond of tent camping so I can understand now wanting to get back out in the cold! 😉 lovely photos btw! The sunset photos are gorgeous. Sunsets can make everything a little better. Those trees make me feel small. And I don’t often feel small! Beautiful again, Ailsa, especially the beach shots and sunsets. When you spilled the pasta and realized you needed to move your already pitched tent, I thought about situations all of us who love the outdoors get ourselves in where we are exhausted but need to find it in ourselves to keep going. What a tough night indeed. Hopefully the next days will be filled with the stuff for you guys that makes us seek the outdoors. Best of luck! Hi! I’m new to blogging and wondered if you could help me. I’m following your blog and when I receive an email informing me that you’ve posted something new it just provides a few lines from your post and then a link to your website to read on. How do you change the settings to do this? – when my followers get an email it includes the full blog post, and I’d rather it was like yours and they were directed to the website. Thanks for your help! I can just imagine you hanging out of the window to shoot the tops of the redwoods as you drove down the Avenue… Good thing you stopped in Gold Beach or you would have missed what I consider to be some of the best bits of the Oregon Coast, though you already missed some of it starting with Brookings. 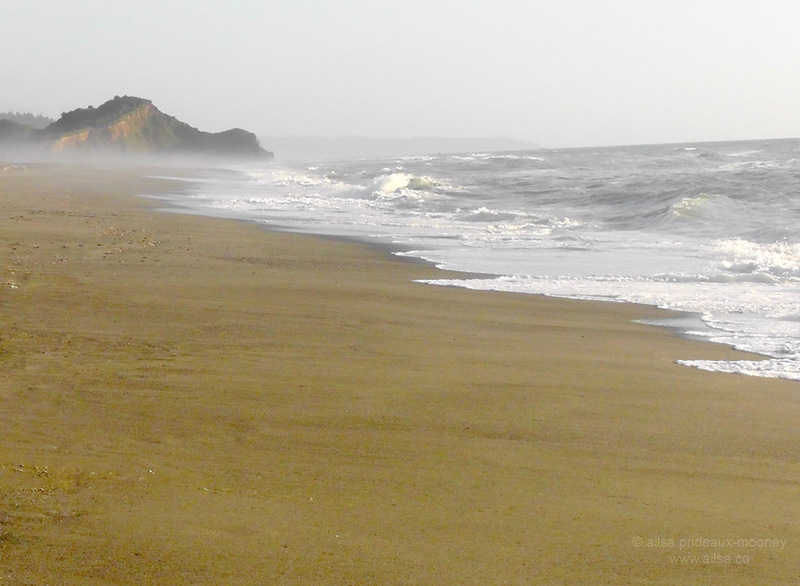 Every bit of it beats the Lost Coast by a mile…. 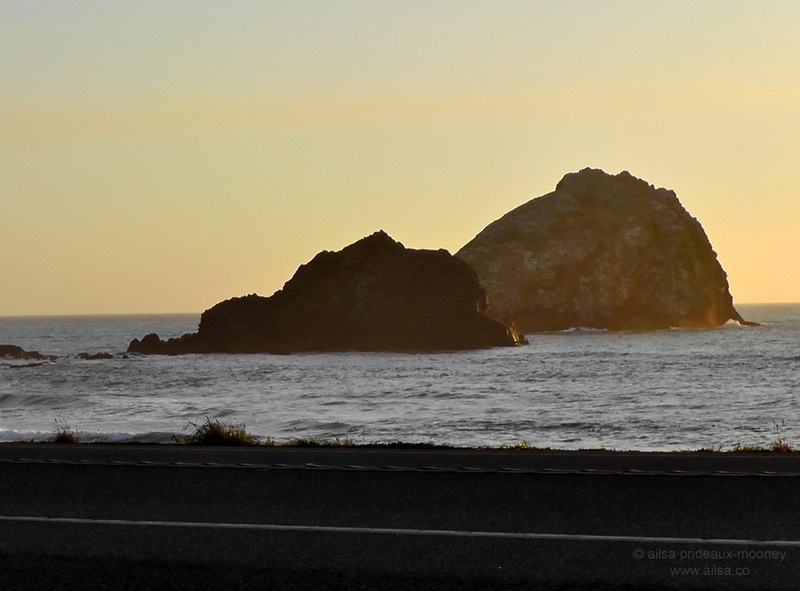 though there’s a stretch from Port Orford to Florence where you don’t get to see much of the coast from the highway. Photos are all awesome but I was really struck by the trees. Wow, what a day, Ailsa! Don’t you just love all these challenges when traveling? I’ve had plenty of days like this in my travels, especially challenges regarding transport & accommodation. It looks like you’re really enjoying your road trip around the US of A! EXCELLENT POST! Well written and photographed. Love the video. LOVED the redwoods there. Thanks (again) for the reminder! Yaay, glad to have rekindled your memories, MaanKind. Those redwoods are startlingly beautiful. Ang guess what? We are planning our next trip, to California and Oregon, possibly Washington, Idaho and Montana! Oooh, how exciting. When are you going? Hope you’re planning to visit Craters of the Moon in Idaho; I really wanted to go on my last trip but time didn’t allow. It looks wonderful. Next year in May. Thanks for the tip! Great pictures! This is one of my favorite drives! We slept on the floor of the laundry room at a campgrounds one night while on the St. James Way. It was hard on the hip bones. Ouch, I feel your pain, djdfr, that sounds terribly uncomfortable. 🙂 How long did it take you to do the walk? Wow, that’s impressive. I’ve wanted to do that walk for ages, one day! Oh dear class barriers in the campsites! majestic pictures! loved all of ’em. thanks for sharing your journey!! Gorgeous shots! 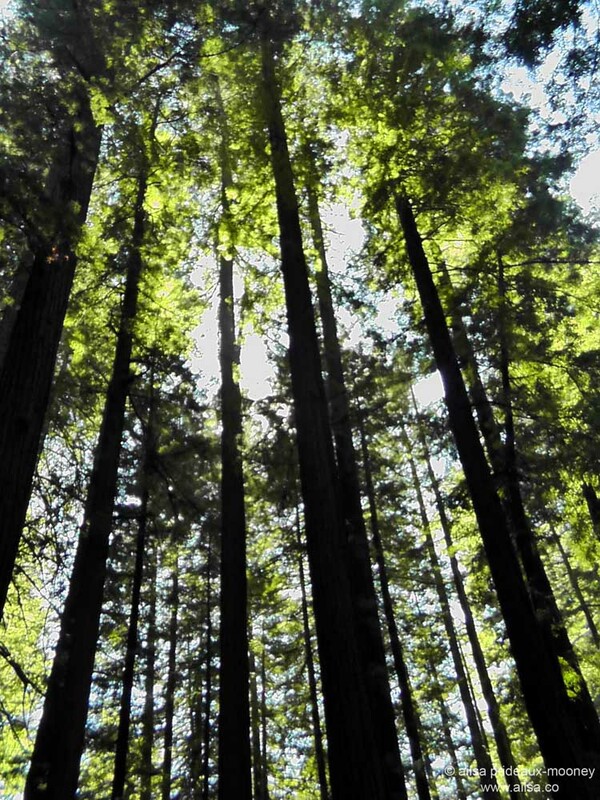 It reminded me that I need re-visit the Redwoods. Some places have a ban after 10pm here, but it still means your evening is spent listening to the thunking, not fun. 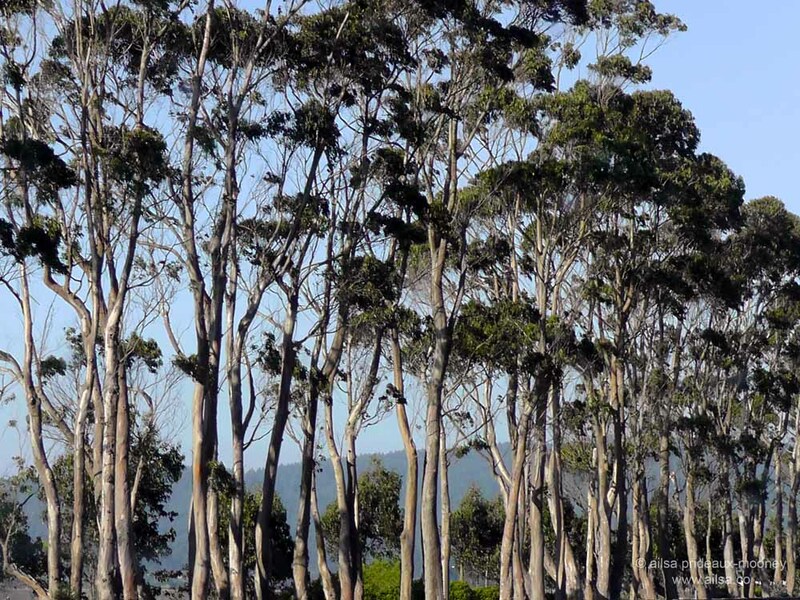 They really are very awesome trees – just magnificent! I also love the photos of the beach – but it must have been rather cold. the size, the scale, wow! I am especially loving the photos of the trees! They really were spectacular, heartEdu, it’s humbling to think how long they have been around on this planet. What a trip and the photos are awesome. Keep ’em coming, thanks! LOVE me some giant trees!!! great shots! Thanks, Shards, those redwoods were amazing. Great photos, Alisa! I made a similar trip in 2010 were I went down from Seattle all the way to San Francisco. It was me, a friend who was doing a bunch of training on how to become a personal trainer, my sister who was going to get married in a few months, and her fiancee. We spent half the day going through the redwoods in northern CA. Hey, thank you for the like, so weird I’m now road-tripping America and route 101 too! Small world!